Science-based targets provide businesses with a clearly defined pathway to future-proof growth by specifying how much and how quickly they need to reduce their emissions. In this session, experts from the Science-Based Targets initiative will help participants understand how to set their company’s target. We will also hear from the private sector on why setting science-based targets is good for business. 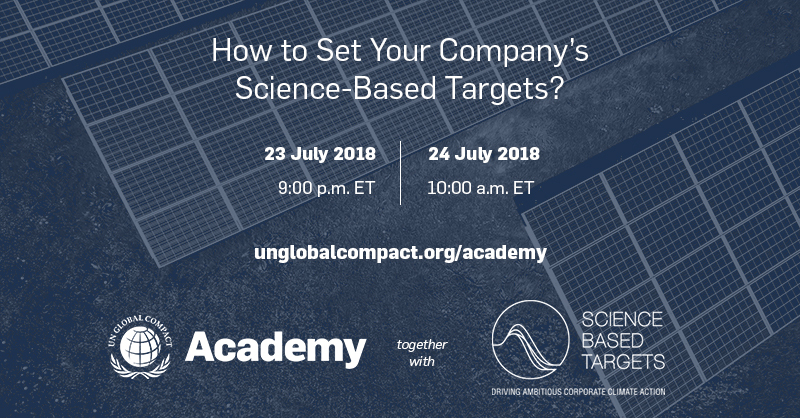 The Science-Based Targets initiative mobilizes companies to set science-based targets and boost their competitive advantage in the transition to the low-carbon economy. It is a collaboration between CDP, the United Nations Global Compact, World Resources Institute (WRI) and the World Wide Fund for Nature (WWF) and one of the We Mean Business Coalition commitments. The initiative defines and promotes best practice in science-based target setting, offers resources and guidance to reduce barriers to adoption, and independently assesses and approves companies’ targets.